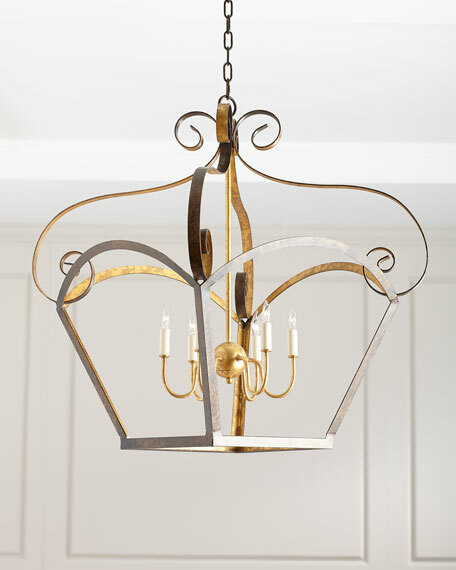 Handcrafted lighting pendant with metal frame. Uses six 40-watt candelabra bulbs. Weight, 18 lbs. Boxed weight, approximately 20 lbs.